Pretty cheap (about $140 shipped). Didn't got my yet, but looking at reviews it is decent fopr family photos and similar stuff, so, we'll see. Plus it plays any SBS content, even 1080p H264 in MKV files. This is a version of the Gadmei P83. 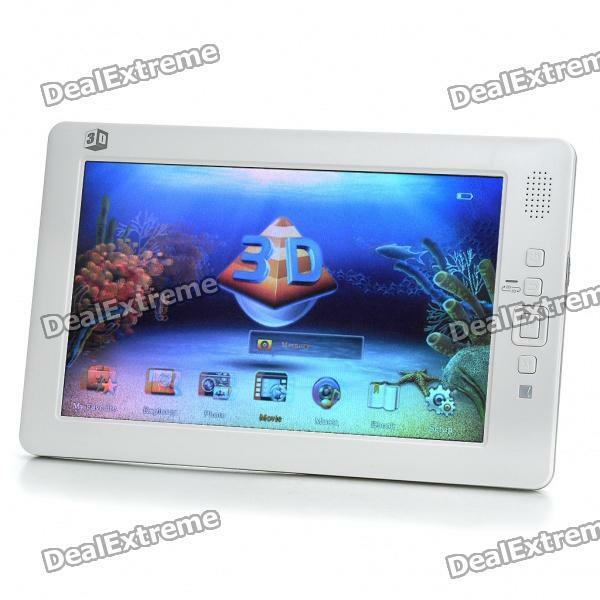 Other versions include Gadmei 3D HD Pad, GADMEI T863-3D Tablet, GADMEI E8-3D Tablet. Correct. Thing with it has limited range of good 3D effect.